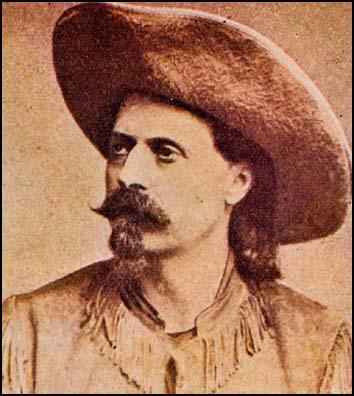 William Cody (Buffalo Bill) was born near Le Claire, Iowa, on 26th February, 1846. His family moved to Kansas in 1854 and settled near Leavenworth. Cody worked as an express messenger and at the age of 12 claimed he killed his first Native American. Later he worked as a driver at Fort Laramie. Cody also attempted to make his fortune as a gold miner. This was unsuccessful and in 1860 Cody became a Pony Express rider. He later told the writer Ned Buntline that he set a record by riding 322 miles in 21 hours 30 minutes. During the American Civil War he served as a scout for the 9th Kansas Volunteers on the Santa Fe Trail. Later he joined the 7th Kansas Volunteers. After the war Cody worked as a stage driver from Fort Kearny to Plum Creek. In 1867 he was employed as a scout by General George A. Custer. This was followed by obtaining a contract to kill buffalo for the company supplying the food for the men building the Union Pacific Railroad. Cody later boasted of killing 4,280 buffalo in seventeen months, using a 50-clibre breech-loading Springfield rifle. Although most people thought this was a wild exaggeration he was given the nickname Buffalo Bill. In 1868 Cody was appointed by General Philip H. Sheridan as chief scout for the 5th Cavalry. He held this post during the Republican River campaign. Along with Frank North and his Pawnee Scouts, Cody took part in the victory over Cheyenne warriors at Summit Springs, Colorado, on 11th July, 1869. Cody later claimed he had killed their leader, Tall Bull, but this was disputed by others who were involved in the operation. 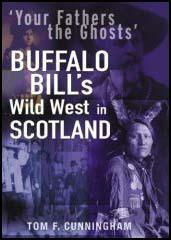 As well as scouting for the army Cody worked as a guide for people wanting to hunt buffalo. This include taking Grand Duke Alexis of Russia in what became known as the Great Royal Buffalo Hunt. During this time he met the writer Ned Buntline. 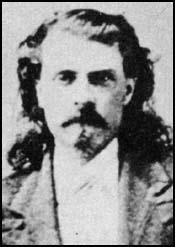 This resulted in the article, Buffalo Bill: King of the Bordermen, that appeared in the New York Weekly in 1869. This publicity helped Cody to be awarded the Congressional Medal of Honor. In 1872 Cody appeared in a play in Chicago written by Buntine called The Scouts of the Prairie. It was a great success and Cody went on tour with the play. Later he appeared in Scouts of the Plains, a play written by Fred Maeder. Cody found the work too unexciting and decided to go back to show business and in 1882 established his Wild West Show. He recruited several famous people to perform in his show including Annie Oakley, Sitting Bull, Red Cloud and Frank North. This included re-enactments of Custer's Last Stand, Native American attacks on stagecoaches and cowboys showing off their skills. William Cody went bankrupt and was deeply in debt when he died on 10th January, 1917. I first met Mr. Cody, October, 1868, at Buffalo Station, on the Kansas Pacific railroad, in Kansas. He was scout and guide for the seven companies of the Fifth Cavalry, then under Colonel Royal, and of which I was ordered to take the command. From his services with my command, steadily in the field for nine months, from October, 1868, to July, 1869, and at subsequent times, I am qualified to bear testimony to his qualities and character. He was very modest and unassuming. 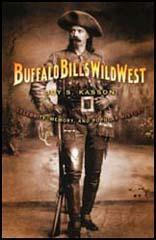 I did not know for a long time how good a title he had to the appellation, 'Buffalo Bill.' I am apt to discount the claims of scouts, as they will occasionally exaggerate; and when I found one who said nothing about himself, I did not think much of him, till I had proved him. He is a natural gentleman in his manners as well as in character, and has none of the roughness of the typical frontiersman. He can take his own part when required, but I have never heard of his using a knife or a pistol, or engaging in a quarrel where it could be avoided. His personal strength and activity are such that he can hardly meet a man whom he cannot handle, and his temper and disposition are so good that no one has reason to quarrel with him. His eyesight is better than a good field glass; he is the best trailer I ever heard of; and also the best judge of the 'lay of country,' - that is, he is able to tell what kind of country is ahead, so as to know how to act. He is a perfect judge of distance, and always ready to tell correctly how many miles it is to water, or to any place, or how many miles have been marched. Mr. Cody seemed never to tire and was always ready to go, in the darkest night or the worst weather, and usually volunteered, knowing what the emergency required. His trailing, when following Indians or looking for stray animals or game, is simply wonderful. He is a most extraordinary hunter. I could not believe that a man could be certain to shoot antelope running till I had seen him do it so often. In a fight Mr. Cody is never noisy, obstreperous or excited. In fact, I never hardly noticed him in a fight, unless I happened to want him, or he had something to report, when he was always in the right place, and his information was always valuable and reliable.